In applications of mathematics, as in other scientific research, it is important to distinguish between the precision of measurements (how closely they agree with each other) and their accuracy (how closely measured values agree with the correct value). One of my favorite poets, Miroslav Holub (1923-98), also a research scientist (immunologist), has captured this dilemma with irony in his "Brief Reflection on Accuracy," translated from Czech by Ewald Osers. 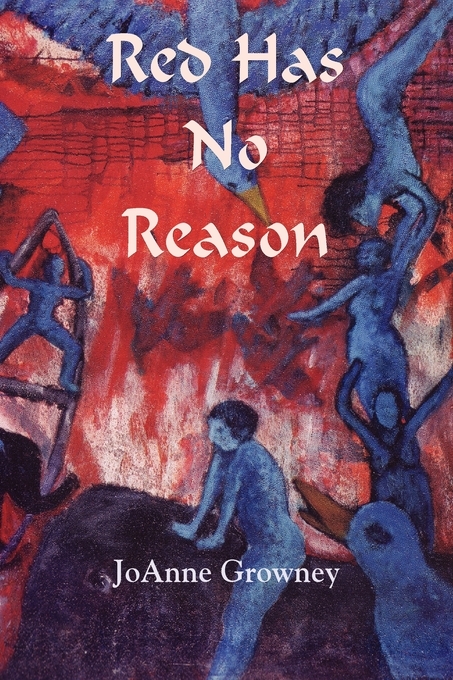 My new poetry book, Red Has No Reason, is now available (from Plain View Press or amazon.com). Several of the poems mention math--and one of them comments on the nature of mathematics. Ideas for "A Taste of Mathematics" (below) came from a mathematics conference in San Antonio, TX (January 1993) where it was announced that the billionth digit in the decimal expansion of π is 9. Recently an amazing new calculation record of 5 trillion digits (claimed by Alexander J. Yee and Shigeru Kondo) has been announced. Back in the 1980's when I began taking examples of poetry into my mathematics classrooms at Bloomsburg University, I think that I justified doing so by considering poetry as an application of mathematics. For example, Linda Pastan applies algebra to give meaning to her poem of the same title. Here are the opening lines. Game theory (with origins in the 1930s) was initially developed to analyze competitive decisions in which one individual does better at another's expense--"zero sum" games--and this term has become a part of everyday vocabulary; here we find it in a poem by Christopher Okigbo (1932-1967), a Nigerian poet. Poems from three women illustrate a range of emotional content in the mathematics classroom: Rita Dove's "Geometry" captures the excitement of a new mathematical discovery. Sue VanHattum's "Desire in a Math Class" tells of undercurrents of emotion beneath the surface in a formal classroom setting. Marion Deutsche Cohen's untitled poem [I stand up there and dance] offers a glimpse of what may go on in a teacher's mind as she performs for her class. Today's post explores poetic structures called snowballs developed by the Oulipo (see also March 25 posting) and known to many through the writings of Scientific American columnist Martin Gardner (1914-2010). TIME Magazine's issue for January 10, 1977 had an article entitled "Science: Perverbs and Snowballs" that celebrated both Gardner and the inventive structures of the Oulipo. Oulipian Harry Mathews' "Liminal Poem" (to the right) is a snowball (growing and then melting) dedicated to Gardner. The lines in Mathew's poem increase or decrease by one letter from line to line. Below left, a poem by John Newman illustrates the growth-only snowball.